The HTC Flyer, HTC’s only Android tablet, was announced at MWC 2011. 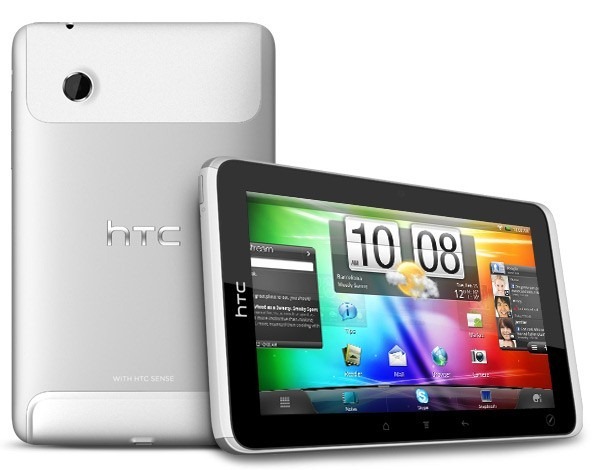 We have already stated before that the HTC Flyer will be priced at £599 in the UK. It has been available for pre-order since a month now. Today, PC World just updated its product page to reflect the pricing and availability of the Wi-Fi only version of the HTC Flyer. It is priced at £479.99 in the UK, and is available for delivery from May 17. The price has been dropped substantially from the £599 that the 3G version is priced at. It has been priced at exactly the same price point as the Motorola Xoom Wi-Fi, which is one of the first Android 3.0 Honeycomb tablets. The HTC Flyer is one of the few new tablets which doesn’t run Honeycomb; instead, it runs Android 2.3 Gingerbread with the HTC Sense UI. HTC has announced on Twitter that it will be getting a Honeycomb update soon. The HTC Flyer comes with a 7 inch capacitive touchscreen display with a resolution of 1024 x 600 pixels. It has a 1.5 GHz processor and 1 GB RAM. It comes with 32 GB internal storage and a 5 MP camera. It also has Bluetooth 3.0, Wi-Fi 802.11 b/g/n and GPS.